Barb Glatthor is a Regulated Canadian Immigration Consultant and the owner of NuVista Immigration Consulting. Barb is a member of the Immigration Consultants of Canada Regulatory Council (ICCRC) and the Canadian Association of Professional Immigration Consultants (CAPIC). Barb has a Business Administration Diploma – General Management Graduated from SAIT Polytechnic (formerly Alberta Institute of Technology). 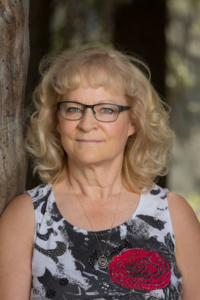 Barb has been in the customer service field responsible for customer needs and demands over the past 20 years and has owned and successfully managed an alternative health and wellness therapies business for the previous 12 years. Barb is now applying her expertise in customer service in the area of immigration consulting, successfully growing her business over the last three years. Barb is known for her professional and courteous manner when assisting her customers and is well liked by her peers and colleagues. She is very conscientious, well organized, is willing to take on new challenges and is eager to learn. Barb applies an inexhaustible amount of energy and enthusiasms to everything that she commits to. Her positive attitude, sense of humor and ability to make everyone feel at ease are definite assets in what can at times be a highly stressful environment. 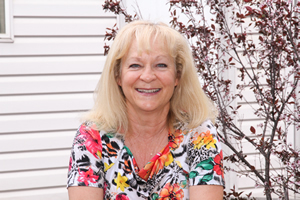 When not working Barb enjoys golfing, swimming, cycling, rollerblading and walking with family and friends and her two terriers.